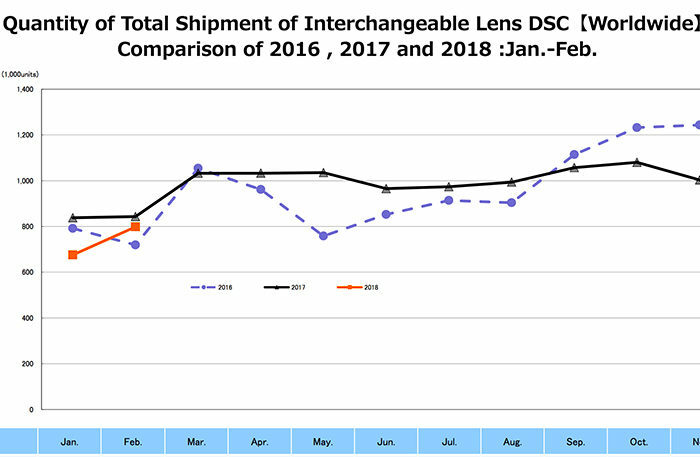 CIPA results for February: Tremendous decline of worldwide camera shipment. DSLR beating mirrorless this month. The Japanese agency CIPA released the official camera shipment numbers for February. And it’s again a horror news for the industry. 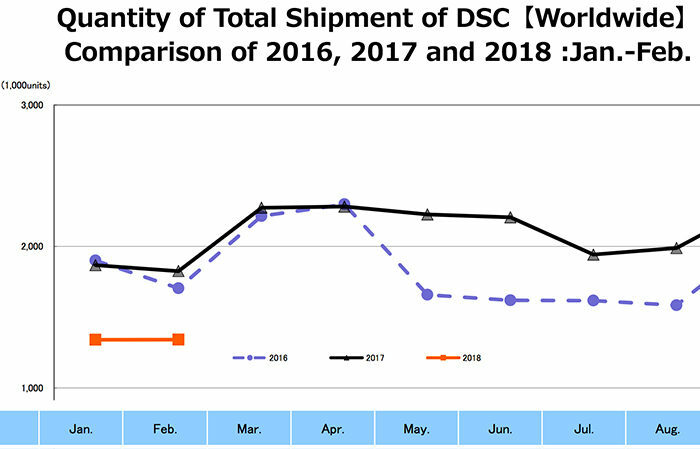 We had a 27% decline of camera shipments compared to the previous year. The only positive takeaway from those results is that this bad result is due the shrinking compact camera market. DSLR sales numbers up 4% while mirrorless sales went down 11%. Editor’s note: For a couple of hours we made a mistake and switched the DSLR-Mirrorless numbers. Sorry for that! previous post: Canon publishes new video showing their 120 Megapixel sensor!